Effective probation services can have a transformative impact on the lives of offenders and the justice system. They reduce stigmatisation, contribute to successful reintegration and build skills and resilience to break the prison-poverty cycle, as well as reducing recidivism rates. For over 25 years, PRI has been working with a wide range of stakeholders to improve criminal justice systems and reduce the unnecessary use of imprisonment, including by promoting and developing effective probation systems. International standards and good practice collected from across the globe are the foundation of our work. 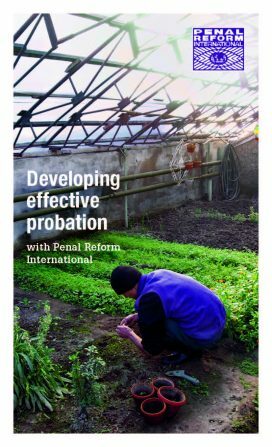 PRI’s innovative, project-funded reform work on probation systems is based on partnerships with government authorities, probation departments and NGO partners. Download our brochure below to find out more about PRI’s practical, evidenced-based work on delivering effective probation.